We had another very generous donation of archive material to the antique dealer project! 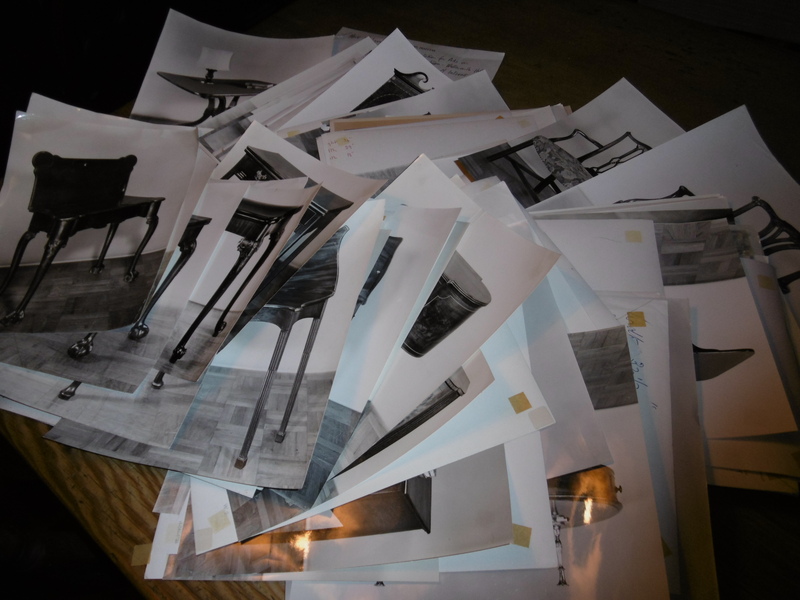 Thank you so much to John Smith, formerly of Regency House Antiques, Walton-on-the-Hill, Surrey, for donating a cache of several hundred B&W photographs of antique furniture – just some of the previous stock of Regency House Antiques. The photographs (taken by Raymond Forte) date from the 1960s-1980s, and John tells us that they were used for advertisements in publications such as Country Life. 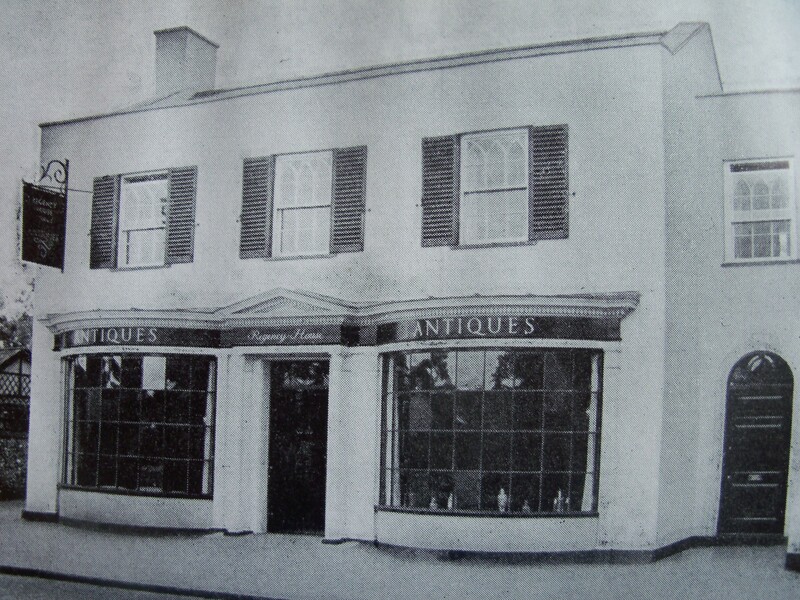 Regency House Antiques, Walton on the Thames, c.1960. Henning was established in 1922 by John Smith’s step-grandfather, and John inherited the business in 1974. 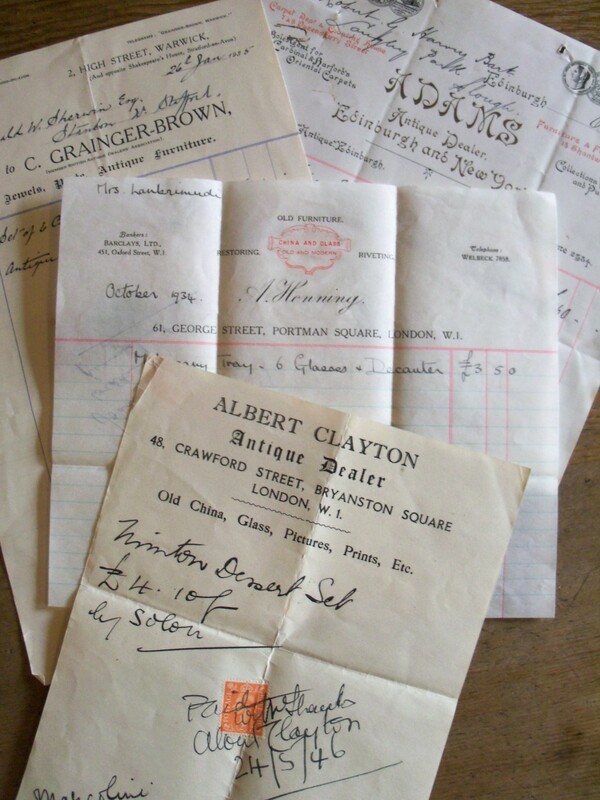 The invoice (above, middle) is dated October 1934, when Henning was located at 61 George Street, London, and traded in ‘Old Furniture’, and ‘China and Glass, Old and Modern’ – the invoice was for a ‘Mahogany tray, 6 glasses + Decanter’, for £3.5.0. Thank you John for so generously donating the photographs to the research project.